…brought to you by the letter, ‘R’. The one hundred and twenty fourth episode of the Yes Music Podcast, featuring an exploration of some concepts and music beginning with ‘R’. What albums and tracks begin with ‘R’? What concepts relating to Yes begin with ‘R’? Listen and see if youspot any letter ‘R’s I have left out, then let me know by contacting me via any of the methods below. The ninety-fifth episode of the Yes Music Podcast, featuring four versions of the Yes track, ‘Leaves of Green’ through the years. Also featuring Patrick Moraz who I missed out of the Yes Alphabet ‘M’ episode last week! Listen and see if you agree with me, then let me know by contacting me via any of the different routes on the right hand side or by leaving a comment below! What or where is ‘Leaves of Green’? Can it work as a piece on its own? Has it been performed in different ways over the years? 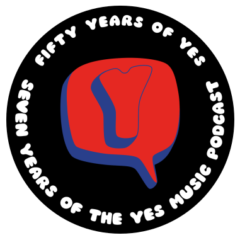 The ninety-second episode of the Yes Music Podcast, featuring an exploration of the post-Drama project, XYZ, from Alan White, Chris Squire and Jimmy Page. 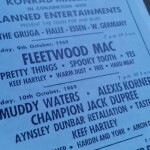 Dave Lawson of Greenslade was also involved. Is any of the demo material worthy of appearing on the new Yes album? Should XYZ reform and release the songs? Has any of it seen the light of day so far? R.I.P Mike Dunne, Yes engineer, tape operator and editor. 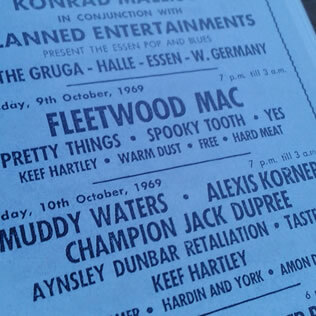 Mike was a key component in the definition of Yes’ sound and worked with the band from its early days until 1980. Later, he returned to add his special talent to compilations like, ‘In a Word, Yes’. Alongside Yes, Mike also worked with many other influential artists such as Mott the Hoople, Jon Anderson (for whom Mike was engineer on ‘Olias of Sunhillow’ and ‘Song of Seven’), Van Der Graaf Generator, Flash, Greg Lake and Alex Harvey. A generous, gracious gentleman when I emailled him, Mike will be missed by all Yes fans.